I am at the point where talking about Nintendo and third parties is as monotonous as talking about the complexities of the corn stalk. It is a topic I've broached about incessantly, but I must do so again as the same mistakes are being made once more. Same mistakes, new console. Nintendo reportedly said that they were focusing more on the core gamer with the Wii U, yet with their E3 2012 press conference, they did nothing to really entice this sect of video game enthusiast. 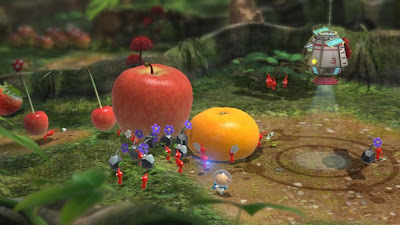 Sure, there was a new Pikmin (finally) and a new 2D Mario platformer confirmed for launch, but for every core offering there was a sample or two of a game for casuals. Not to say casual gaming is bad! But after showing off Pikmin 3, the conference fell off a proverbial cliff and disappointed legions of fans, some even turning on Nintendo in a predictable fashion. but who else will it appeal to? The problem with third parties on Wii U is eerily similar to the third party situation on Wii (which people still like to play revisionist history on, saying third parties actually "tried" on the Wii when they really didn't and their games didn't sell). In order to sell well on any system-- not just a Nintendo system-- is to build a user base on the console. Doing it as close to launch is optimal, but it isn't 100% necessary. 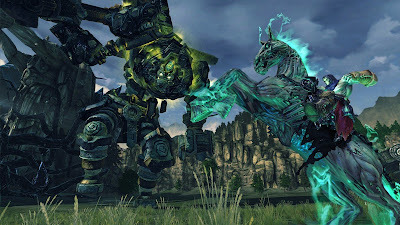 However, third parties are already avoiding the platform like they did the Wii. With Wii, most third parties banked on the HD consoles and many lost money because of it. Then after the rousing success of the Wii, they put out late games that had no user base to sell off of. They published and developed test games, poor ports, and when they did create a generally accepted a as great effort game, they placed no marketing or advertising behind it. 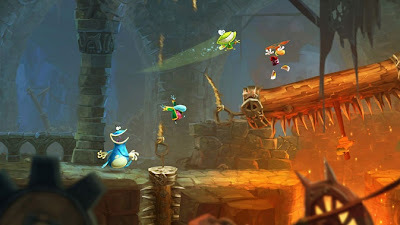 Though, in rare cases a game did do well like Disney Epic Mickey, Monster Hunter Tri, Just Dance, and Boom Blox. Third parties and Nintendo are already failing with the Wii U. Why would anyone want to buy a year-late port of Batman: Arkham City or buy the second or third game in a series that they have either played on another platform or have never played before at all? Why isn't there a Mass Effect collection or Darksiders I port for those interested in the Wii U? It's mind-boggling how bad the ball is being dropped. appeared on a Nintendo platform. Huh. It also says a lot about the trepidation or downright disdain for the Wii U third parties have when even EA doesn't announce any EA Sports titles for the system at launch. That is like a rarity that only happens as often as Venus crossing the path of the sun. EA's president even was up on stage last E3 with Nintendo. What happened? Where did that excitement go? What has Nintendo been doing for a year? Analysts and fans alike assumed that most games were just under a non-disclosure agreement and that is why more third party games weren't announced. Turns out there were simply NO games to announce! One of the few third party games I'm interested in on Wii U. But what is the excuse for third parties this time? With the Nintendo 64 it was Nintendo still using cartridges as the game format; with the GameCube it was Nintendo using mini DVDs, allowing for less storage space; and with the Wii it was the underpowered hardware. What is the excuse here for the HD and relatively powerful Wii U? 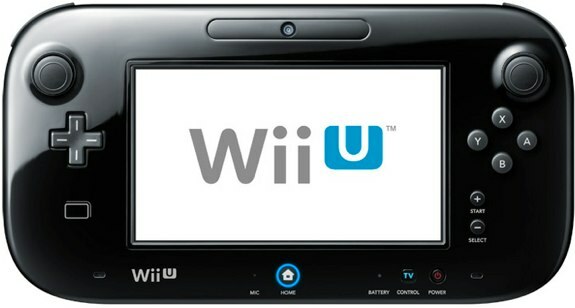 Already we have Hideo Kojima saying that if he made a game for the Wii U it would have to use the Wii U controller well. Why? That just screams "excuse" to me. If you can't figure out a use for the Gamepad, use the Pro controller. That's what it is there for. have to create something unique for it." It seems once again that most third parties are setting themselves up for failure with low-effort ports that when they don't sell (as they shouldn't and probably won't) they can blame Nintendo and their user base for it instead of themselves. This isn't solely third parties' fault. Nintendo is just as much to blame this time around. They promised content, and somehow, someway they failed to deliver yet again. They have learned absolutely nothing since the 3DS fiasco and the Wii third party situation, which is a shame as we will now have to sit through thousands of "Nintendo is doomed" commentary pieces and message board posts from both fans and detractors alike for years to come.